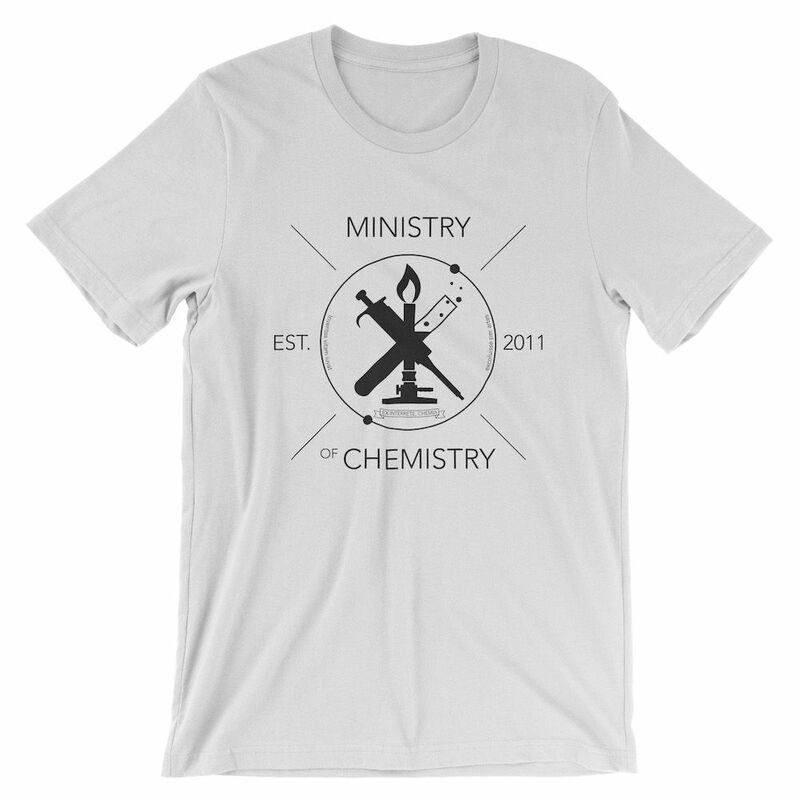 Ministry of Chemistry unisex t-shirt. 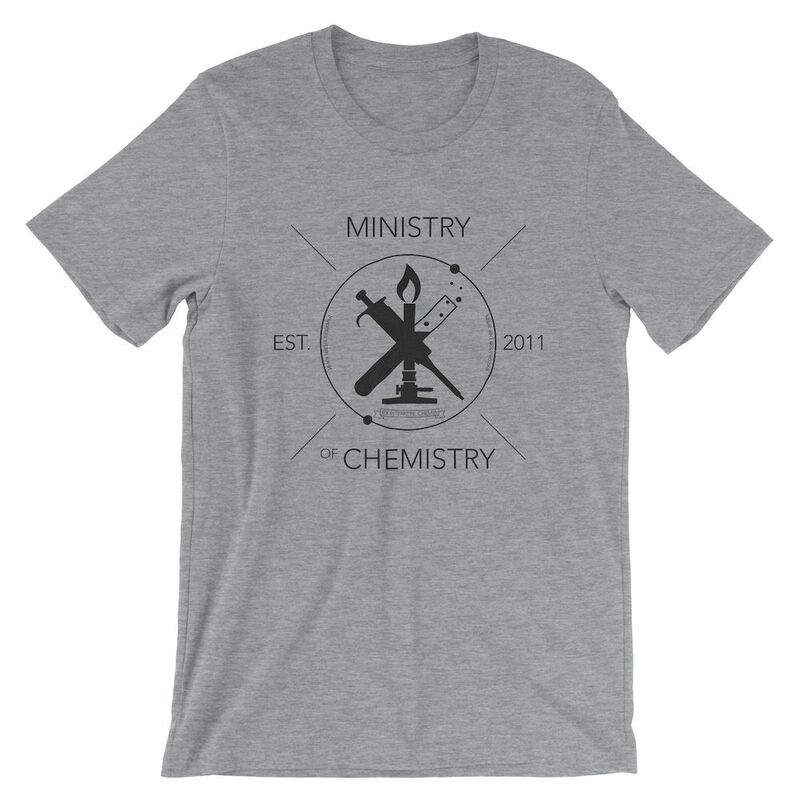 100% cotton* & sweatshop free. Ministry of Chemistry logo in splendid hipster style on a super soft unisex 100% combed and ring-spun cotton (*except heather colors) t-shirt. 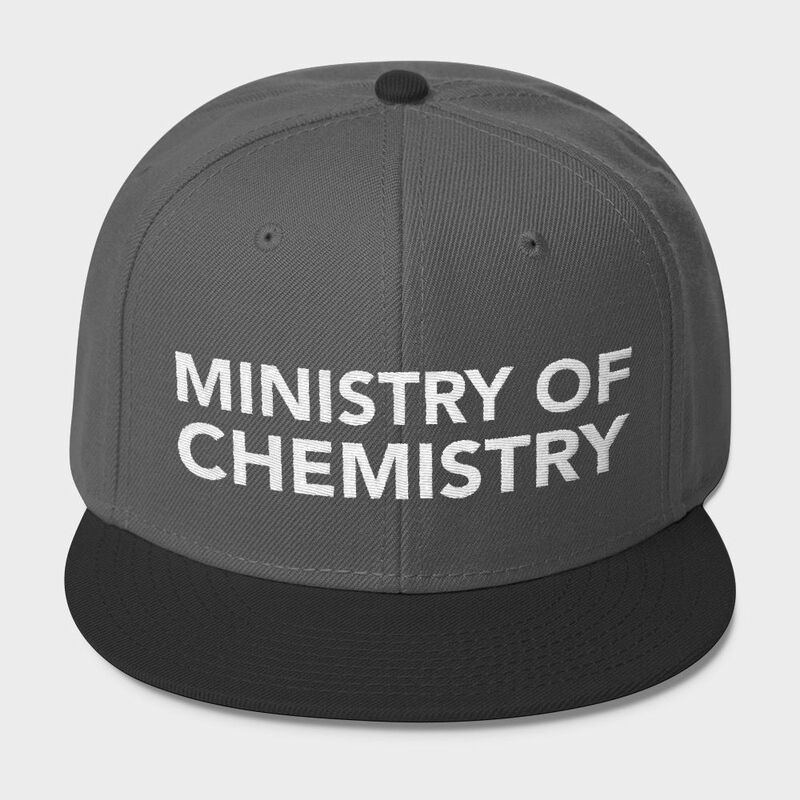 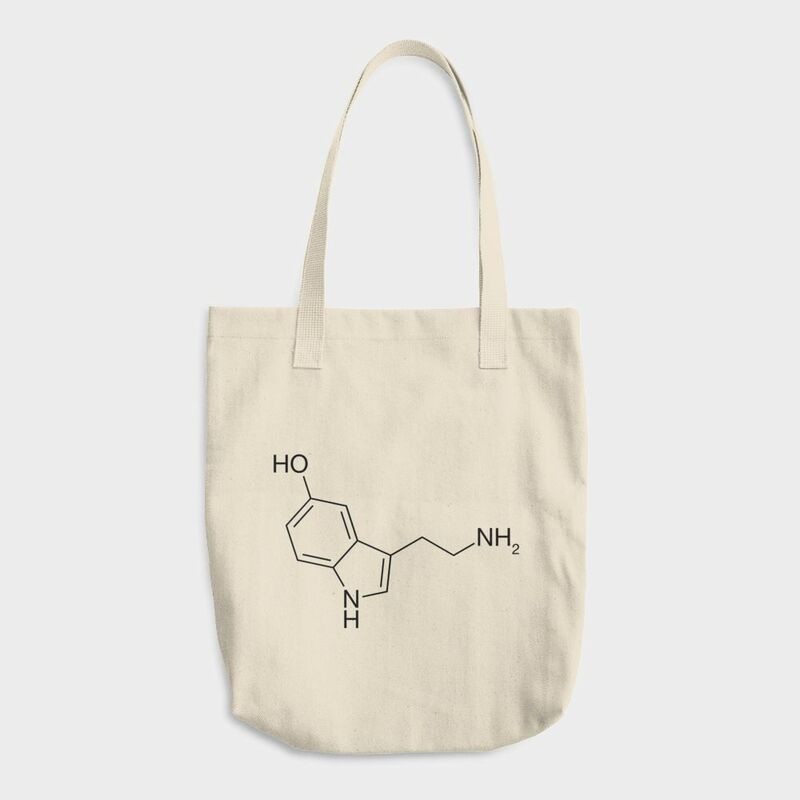 We love the Ministry of Chemistry (or how it’s also called “The Departement of Chemistry of the Internet”) and you will, too. The logo features the two mottos of the ministry: EX INTERRETE, CHEMIA (from the internet, chemistry) and Inventas vitam iuvat excoluisse per artes (Let us improve life through science and art).